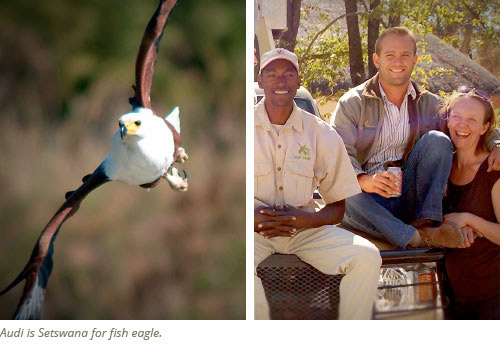 In this part of the World, Audi isn’t a luxury car – it’s a fish eagle! One of the most striking birds to be seen in the delta and often spotted in camp. We started in 1993 with not a lot: a patch of ground where you could pitch your tent, a cold beer and friendly chat around the fire. Gradually, over the years and thanks to our many returning guests, the camp has developed. 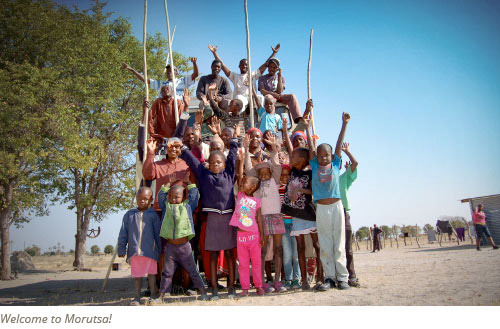 First came the mokoro trips with a local community, then we slowly ventured into mobile safaris and so it went. A little bit more each year until, here we are: slightly more sophisticated but hopefully still with that “have a chat around the fire” feel. As we are a camp as well as a safari operation everyone gets involved in safari preparation, from kitchen to housekeeping to reception. If you are booking on the Internet the first person you will encounter is TT (Thatayaone). She is our reservations lady but can also be found in the kitchen, restaurant, laundry and, if necessary, can help put a safari together – a jack of all trades. Catherine, our very special trainee manager keeps the team under control and makes sure the safari store stays neat and clean and ready to go at a moments notice. She also keeps the accounts straight (no mean task) and anything else that’s needed. Audi’s super woman! Then we have our band of helpers and cooks – all of whom have other jobs as well. Their favorite one being, of course, safaris! Then of course the most important person of all, Farayi, our super duper mechanic. Without him I don’t think we would have a safari side to Audi. If you go on one of our safaris you will understand why, these roads are not kind to vehicles, and even though our cars are reasonably robust they still need to be checked and serviced after every trip especially in the rainy season. 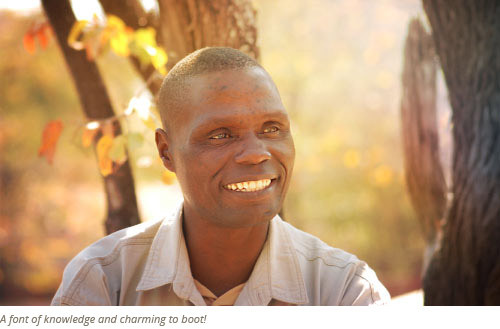 BK started his guiding career 22 years ago with one of the big safari companies. After 6 years gaining valuable experience he decided to go on it alone and begin freelance guiding. 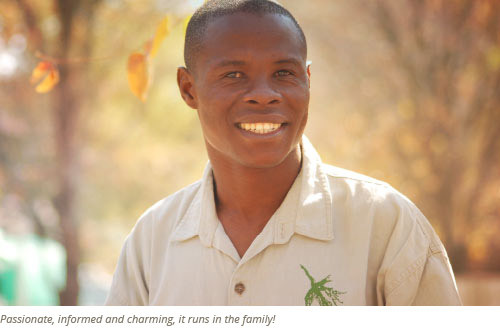 He is a sweet and gentle man and an amazing guide with proper bush know-how – there’s nothing pushy about BK, so you won’t be bamboozled into doing what you’d rather not. We have yet to hear a bad word about him. Everyone loves him and returning clients always ask for him. When asked why he enjoyed guiding he said: ‘”Getting to know about all the different places in the world from the guests”. 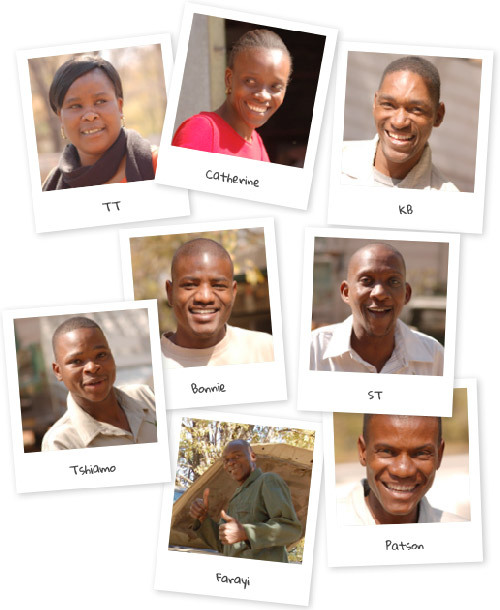 Audi Camp is a Botswana based company and as such we try as much as possible to create work for the local communities and citizens. We have been going to a village called Morutsa on the edge of the Delta to do mokoro trips for 20 years. It is a small, friendly village that used to rely on subsistence farming but now mainly relies on tourism. A great character known as Mr Worm (Rra Seboko) is the mainstay of the village. He has been there since we started taking guests out, he keeps the youngsters in line and is always happy to show people around.